Agence France-Presse's chief photographer in the Afghan capital was confirmed dead. He was rushing to the scene of the first blast when a second bomb hit. KABUL, Afghanistan — A double suicide attack in Afghanistan's capital killed 22 people, including nine journalists, and injured at least 42 others Monday, authorities said. The Health Ministry confirmed the number of deaths and injuries to NBC News. Police spokesman Hashmat Stanekzai told The Associated Press that the first suicide bomber was on a motorcycle, while the second attacker pretended to be a journalist before detonating his explosives while among them. The suicide attacks took place in the central Shash Darak area, which is home to NATO headquarters and several embassies. Agence France-Presse said its chief photographer in Kabul, Shah Marai, was among those killed. The news agency said he had been rushing to the scene of the first attack when a second bomb hit. Also among the dead were journalists from the BBC, Radio Free Europe/Radio Liberty, and two Afghan news channels, 1TV and Tolonews. One reporter, Maharram Durrani, had barely started her career: She was due to begin at Radio Free Afghanistan on May 15, the broadcaster said. Another journalist, Yar Mohammad Tokhi of Tolonews, was to be married within a month, the channel said. Steven Butler, of the Committee to Protect Journalists, said the killings highlighted the dangers journalists in Afghanistan face and the "extremely brutal tactics used there by enemies of the free press." The country's journalists will nevertheless endure, Secretary of State Mike Pompeo said in a statement, citing their "courageous and steadfast work" that helped create "Afghanistan’s thriving and resilient independent media." 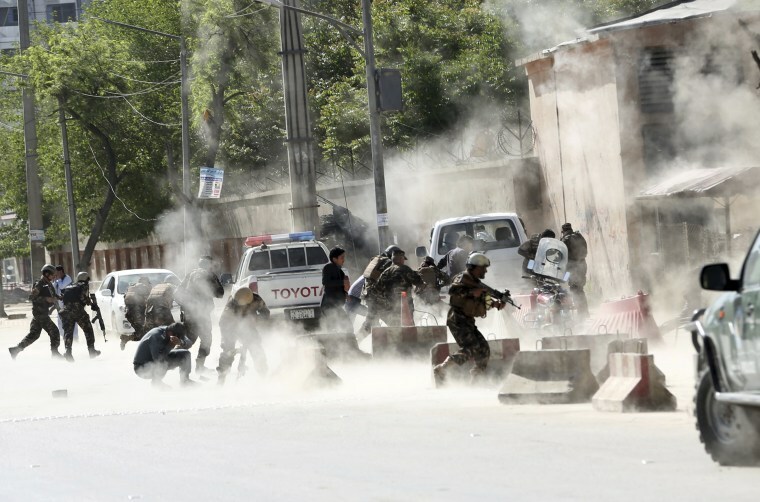 The local Islamic State group affiliate and the more firmly established Taliban carry out regular attacks around the country, with the Taliban usually targeting the government and security forces and ISIS targeting the Shiite minority. Tim Stelloh reported from New York.